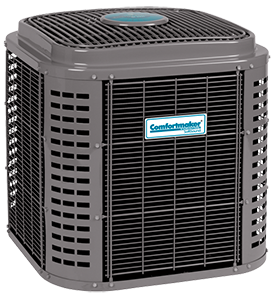 Searching for AC Repair that is both dependable and affordable? Established in 1987… we’ve been the solution for air conditioning expertise, with an ever growing reputation of honesty, integrity and absolute customer satisfaction, for over 30 years. Barron’s Air Conditioning and Appliance Service Inc has become synonymous with “genuine dependability” when it comes to local air conditioning service in Palm Harbor Florida. If you are here, then odds are… you are in need of local AC Repair. 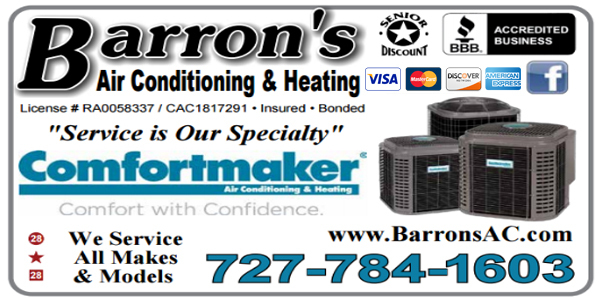 Our goal, is to simplify the process which begins when you call Barron’s Air Conditioning and Appliance Service, inc. Otherwise, visit our office at: 704 Tampa Road. Either way, our office manager, Doug Titterton will quickly determine your needs and schedule one of our technicians. Once arriving at your location, our team can quickly assess a situation and determine available solutions to your heating or cooling needs. Having the right tools is key and our trucks and work vans are always stocked with anything we could possibly need to fix any problem. Rest assured, our expert team will complete the ac repair fast and clean up any mess we may have made during the repairs. Our goal is to be courteous and professional at all times. Call today and let us get started on your ac repair. Barron’s Air Conditioning and Appliance Service, Inc features a reliable team of trained professionals for service repair and installation. Our areas of service consists of all Pinellas and Pasco county with our base of operations in Palm Harbor. Repeat customers find comfort in our years of experience and continuous education. Not to mention.. Our fast response times and highly competitive prices. Family owned and operated, we’re dedicated to delivering excellence on each service call. Trust in Barron’s Air Conditioning to handle the job. Give us a call today at 727 784 1603 for immediate assistance.